[N]othing you can see on Doordarshan, the Indian print media or the man at a distance, prepares you for the personality of Prime Minister Rajiv Gandhi at close quarters. Apart from the well-groomed appearance - immaculately manicured nail, hair cropped short to subtly disguise a receding hairline, and perfectly starched attire - he has an impeccably soothing voice - cultured, refined and suitably programmed. Towards the end, a part of the interview was conducted off the record. The tape recorder is clicked off and Rajiv's personality is transformed. Gone is the cautious monotone of an official interviewee. Instead, Rajiv comes across as an ordinary mortal, with all the charm, some of the humour, and the chattiness of... well, an airline pilot. Flight crews the world over have the reputation of being charming rakes. Some of it has certainly rubbed off on the Prime Minister of South Asia's most populous nation. Perhaps some of the caution owes something to Rajiv's explosive interview with Sunday magazine a bare three weeks before.The answer on Bofors is short and cryptic. No more controversies for the Ram Jethalmanis and V.P Singhs of the Indian political scene to pounce upon. Rajiv Gandhi is equally guarded on relations with Pakistan. If there are any new initiatives since the August 17 air disaster, one finds few hints of them. Instead, Rajiv sits in the hastily re-decorated suite on the first floor of Sindh House, looking out at sprawling Islamabad and the now not-so-straight Constitution Avenue. Rajiv has all the old world charms and courtesies that one should not expect a Prime Minister to have. And how does Prime Minister Benazir Bhutto come across as compared to Rajiv? Well... as an intellectual. 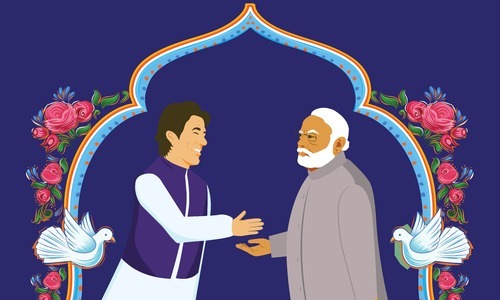 But whichever way one looks at it, the young Prime Minister from South Asia's most populous nation is used to having his own way - and no opponent yet has successfully made the mistake of underestimating him. 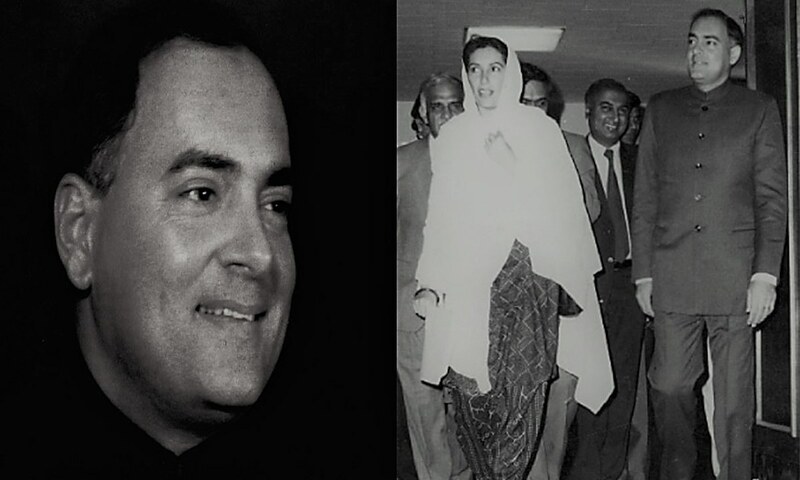 In an exclusive interview with the Herald, Rajiv Gandhi talks about his perception of Pakistan's new Prime Minister, Benazir Bhutto, about India's thawing relationship with Pakistan and the future of his own government in India. Herald. Prime Minister Bhutto's father and your mother were the signatories to the historic Simla Agreement. Would the second generation of the Nehru and the Bhutto families be able to fulfil the desire for peace in the sub-continent? 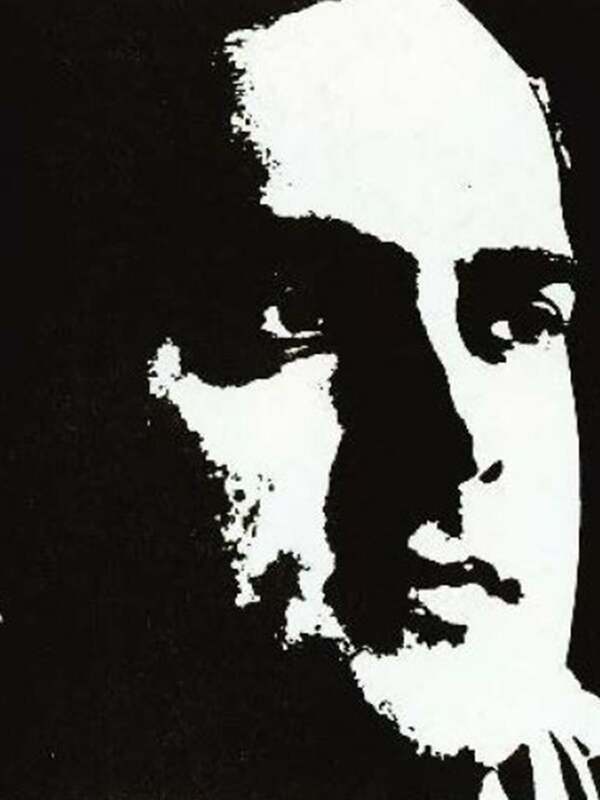 Rajiv Gandhi. We are committed to the development of friendship and good neighbourly relations with Pakistan. I believe that Prime Minister Benazir Bhutto shares this commitment. Both of us agree that the Simla Agreement provides and excellent framework not only for the resolution of differences between the two countries, but also for the strengthening of friendship and cooperation. We have agreed to work together and remove the suspicions and misgivings that have characterised our relations in the recent past and to build bridges of friendship, understanding and cooperation. Herald. Do you foresee an improvement in Pak-India relations following the establishment of a democratic government in Pakistan? Gandhi. We have always been convinced that the people of Pakistan genuinely desire peace and friendship, as do the people of India. The newly elected government in Pakistan, I believe, reflects this desire of the people. I am, therefore, optimistic that with a democratic government in Pakistan there would be an improvement in relations between our two countries. We, should however, recognise that there have been certain developments during the past few years which have caused misgivings and cast a shadow on our relations. We should address these with sincerity and a firm commitment to the letter and spirit of the Simla Agreement. I have always felt that we should not allow any barriers to come in the way of our friendship. Let us work together to learn from each other, to know more about each other and to understand each other. In every democracy it is the people's will that is supreme. We should translate the intense yearning of the people of India and Pakistan for friendship into meaningful measures of cooperation in every walk of life. Herald. What are the major obstacles in the way of normalisation of relations between the two countries? Gandhi. It is unfortunate that though our two countries share so much in common, our relations have been bedevilled by a singular lack of trust. I am convinced that we must deal with the issues which have resulted in misgivings, with sincerity and resolve and build a relationship based on sovereign equality, non-interference in each other's internal affairs and mutual benefit. There is an intense yearning for peace and friendship in both our countries. While each of us has chosen a path of development rooted in the genius of its people, there is so much we can achieve together, if only we shed the suspicions and prejudices which have characterised our approaches to each other in the past. We should dedicate ourselves to replacing confrontation by cooperation, suspicion by trust, and septicemic by hope. I think it is important not only for the two governments, but also for the media, public figures and people's organisations in both countries to build bridges of friendship and cooperation. Herald. Why does India reject Pakistan's proposal for the signing of the Non-Proliferation Treaty simultaneously by both the countries? Gandhi. I would like to clarify that our opposition to the Nuclear Non-Proliferation Treaty is not related to any consideration involving Pakistan. Our position on this important issue is consistent and principled. We are not ready to sign the NPT as it stands today because it is blatantly discriminatory in character. I presented an Action Plan on Disarmament to the United Nations in June this year. It envisages the establishment of a non-violent and nuclear weapons free world order. The Action Plan has been widely welcomed. There is surely no reason why India and Pakistan should not work together to achieve the objectives outlined in the Action Plan. Herald. What is the Indian position on the Siachen dispute? How, in your opinion, can the issue be settled? Gandhi. The Siachen issue should be resolved peacefully and bilaterally as provided for in the Simla Agreement. In the meantime, it is important that no action should be taken which would exacerbate tensions or lead to clashes in the Siachen area. Herald. India has often been criticised, recently by its smaller neighbours, for pursuing a hegemonistic policy in the region. Would you like to comment on that? Gandhi. I think our deeds speak louder than words. Whther it is in Sri Lanka or Maldives, it is recognised that our actions have clearly demonstrated our commitment to the unity, territorial integrity and progress of out neighbours. In overall terms, the climate of relations with our smaller neighbours has been good in recent years. Herald. Would your government agree to any proposal for the mutual curtailment of defence expenditure by the two countries? Gandhi. While assessing India's defence imperatives, it has to be remembered that our total defence perimeter comprises over 15000 km of land borders, over 7000 km coastline, 2 million square km of Exclusive Economic Zone and nearly 300 islands in the east and west separated by a significant distance from the mainland. Our defence commitments are, therefore not merely related to Pakistan. As I stated earlier, it is important that we should endeavour to remove the suspicions and mistrust that have charecterised our relations in the past, thereby building mutual confidence. The creation of a political climate of friendship and mutual confidence would help in our working together to address ourselves to the task of reducing conventional arms and forces to the minimum levels required for defence purposes on the lines suggested in our Action Plan for Disarmament, which I presented to the United Nations in June this year. Herald. Is there any likelihood of expansion in the scope of SAARC's activities? Gandhi. I would like to see the scope of SAARC's activities expanded significantly, so that we can effectively cooperate in economic development and other areas which touch the day to day lives of our people. Herald. India has accused Pakistan of aiding and abetting the Sikh insurgency in East Punjab. Is there any substantive proof of Pakistan's involvement? Gandhi. We have in the past given the governemnt of Pakistan details about their involvement in, and assistance to, terrorist activities in Punjab. Such activities have cast a shadow in our bilateral relations. If peaceful, friendly and good relation are to develop between our countries, it is important and indeed imperative for us to remember that the principle of non-interference in internal affairs is an integral part of the Simla Agreement. We welcome Prime Minister Benazir Bhutto's statement affirming her commitment to abide by the letter and spirit of the Simla Agreement. Herald. The Government of Pakistan has, in the past, charged your government with supporting the separatist movement in Sind. Would you like to comment on that? Gandhi. A united, stable Pakistan is in India's interests. It is therefore, absurd to suggest that India has lent any support to separatist movements in Pakistan. Herald. It is said that your victory in the 1985 elections was the result of a sympathy wave following the assassination of your mother. What are the prospects for Congress in the next elections, particularly in view of the setback it has received in the recent State polls and Parliamentary by-elections? Gandhi. In any democracy, the ruling party general does not do as well in the mid-term elections as it does in a General Election. The Congress Party has a proven record of service to the people and commitment to their welfare and progress. I am confident that our people e will repose their trust and confidence in us again in the forthcoming General Elections. Herald. In recent years India has seen the emergence of regional political forces and some of them have actually won the State elections. How do you think this phenomenon is going to affect the Indian democracy? Gandhi. Given the size and diversity of our country it is inevitable that sometimes regional political parties win elections in some states. I, however, believe that given the strength and resilience of our democratic system, this does not affect the functioning of Indian democracy. The strength of our country lies in its unity and diversity. Herald. What do you think are the main causes for the Sikh insurgency and how could it be resolved? Gandhi. The main reason why the insurgency in Punjab has continued is the support and sustenance it has received across the border. Nevertheless, the democratic processes will be proceeding ahead. We will be holding Panchayat elections in the state early next year. With the passage of times the terrorists are getting more and more isolated. People in Punjab want peace. They have an abiding faith in, and commitment to, communal harmony. Terrorism, therefore, cannot succeed in achieving any political objective. Herald. What happened to the inquiry of the Bofors scandal? Would you agree that it has damaged your image of Mr Clean more than any other issue? Gandhi. The Bofors issue has been discussed and debated at length in our Parliament. In our democratic system there is virtually unlimited freedom to discuss and debate issues including allegations which do not have an basis. In any case, certain matters are being investigated by the CBI. I would not like to make further comments at this stage. Herald. It is often said that your mother, Indira Gandhi, was an idealist and you are a pragmatist. Would you like to comment? Gandhi. Mrs Indira Gandhi was not only an idealist but also a person who dedicated her life to fulfilling the ideals she stood for. Her contribution to India's unity and progress and to the promotion of peace, development and disarmament in the world, giver her a unique place in history. Herald. Mr Prime Minister, this has been the first visit of any Indian Prime Minister to Pakistan after 28 years. What are your impressions? Gandhi. I would first like to thank the Pakistani government and the people, especially the Prime Minister, for the warm welcome that we received. All the arrangement that have been made for our stay have been very good. We are meeting after a long time, although we have had meetings in-between. In 1985 I had a number of meetings with the then President. We worked out various things which would be done, but for various reasons, and I must say, not because of anything from out side, we couldn't get these things moving. I hope that now with a new democratically elected government we will make much more progress. Herald. Do you foresee any breakthrough in Pak-India relations? Gandhi. We had very good talks with Prime Minister Benazir Bhutto over dinner the day before, and then again, yesterday evening, and I feel that we can work together. Both our countries spend too much on confrontation and all that could be redeployed for development. Herald. You have recently been to China. How do you see the outcome of your visit? Gandhi. Again, it was a visit after 34 years. The visit was very good. I think every thing that we could have expected of the visit was fulfilled. We did not expect to have dramatic results on the border. It would be ridiculous to think so. What I felt was most important about the visit, was that after so many years when we talked with the Chinese leadership about their basic thinking on international affairs, on their world view, on the problems of development in the developing countries, the problems of developing countries in the international environment, whether in the economic context or political context, there was substantial commonality. In fact, the differences were so few that sometimes I felt that they were using words that I have used before and I am sure that the words I was using were similar to the ones they have used. On the border, we achieved some progress. We agreed that we would move ahead on something that would be fair and reasonable and mutually acceptable. We agreed to have a joint working group to look into these things. The joint working group will also look into how peace and tranquility can be maintained in the border areas. i think that is good progress. We have also agreed to set up two joint ministerial committees. That's the formula that we settles on. Our commerce minister and his equivalent on the other side agreed to meet in order to look into hoe the area of economic cooperation between the two countries can be increased. I think there is a lot we can do on the economic side, bilaterally, and by exchanging development experiences. And perhaps, much more significantly, I think that with the commonality on the new world economic order, we could really get things moving. Herald. How do you think normalisation of relations between India and China is going to change the shape of regional politics? Gandhi. Well, we feel that it is necessary for all countries to move away from confrontation and to move towards peaceful co-existence. With China, we had laid down the principles in the 1950s, five principles of peaceful co-existence, known as pancha sheela. We think that applies to all countries in the region. With this meeting of SAARC, we have moved ahead in the areas of cooperation. For the first time we have taken what would have been a difficult step: for removing visas for two categories of people and allowing free travel. It is a small beginning, but it is a beginning. We have opened the door, lets see how it works. Herald. What are your impressions of Prime Minister Benazir Bhutto? Gandhi. Very confident. She will do much. We feel we can work well with a democratic government in Pakistan. We find it harder to work with other governments. We worked with all of them but I think it will be easier to work with a democratic government. I think we will be able to work with Prime Minister Benazir Bhutto to reduce tension and concentrate efforts in both the countries on real problems of the people - poverty, social injustice and development. Just by chance, I heard him day before yesterday. I was searching a specific clip on youtube and there he was, together with General Zia ul Haq. Statesmanship, maturity of content, clarity of opinion and agreement on the core issues, good or bad, was the hallmark of speeches of both. Compare Rajiv with Modi! One a leader of diverse but united India, the other a communal leader. He was diplomatic while speaking to his People.